God, this woman can write, with a voice and intellect that’s so new. The truth in the most deadly unique way I’ve ever read. – Ralph Bakshi, director of Fritz the Cat, Heavy Traffic, Fire and Ice, etc. This sharply-designed book with a 16-page full-colour section is packed with rare stills, posters, pressbooks and artwork that combine with family photos and artifacts to form a titillating sensory overload, with a filmography that traverses the acclaimed and the obscure in equal measure. 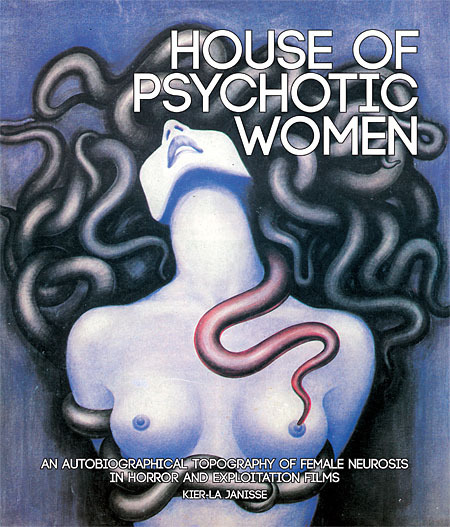 Films covered include The Entity, The Corruption of Chris Miller, Singapore Sling, 3 Women, Toys Are Not for Children, Repulsion, Let’s Scare Jessica to Death, The Haunting of Julia, Secret Ceremony, Cutting Moments, Out of the Blue, Mademoiselle, The Piano Teacher, Possession, Antichrist and hundreds more! Limited edition hardback comes with alternative cover artwork, plus an exclusive free gift of a flexi-disc postcard featuring the song ‘Somebody’s Waitin’ for You’ by Charles Bernstein, from the 1972 film PIGS! This entry was posted in Interesting, News and tagged Charles Bernstein, FAB Press, Kier-La Janisse, Ralph Bakshi by Jonny. Bookmark the permalink.